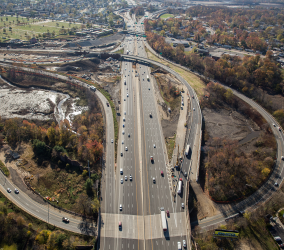 I-295/I-76/Route 42 Direct Connection Project | Welcome To Stokes Creative Group, Inc. 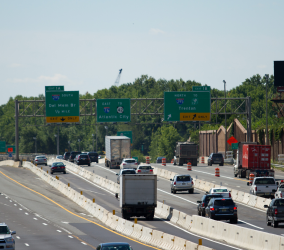 The New Jersey Department of Transportation (NJDOT) set out to reduce traffic congestion and improve motorist safety at the intersection of I-295, I-76 and Route 42. 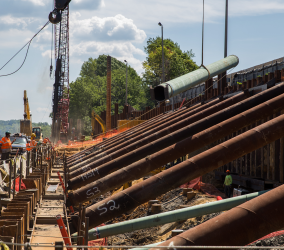 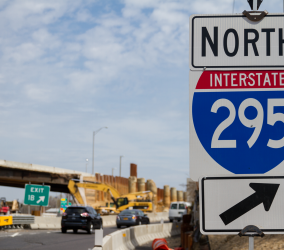 The “Direct Connection” project addresses quality-of-life issues relating to motorists, residents and the environment, and provides a direct connection for I-295 through traffic, as well as adding additional connections from Route 76 to Route 42. 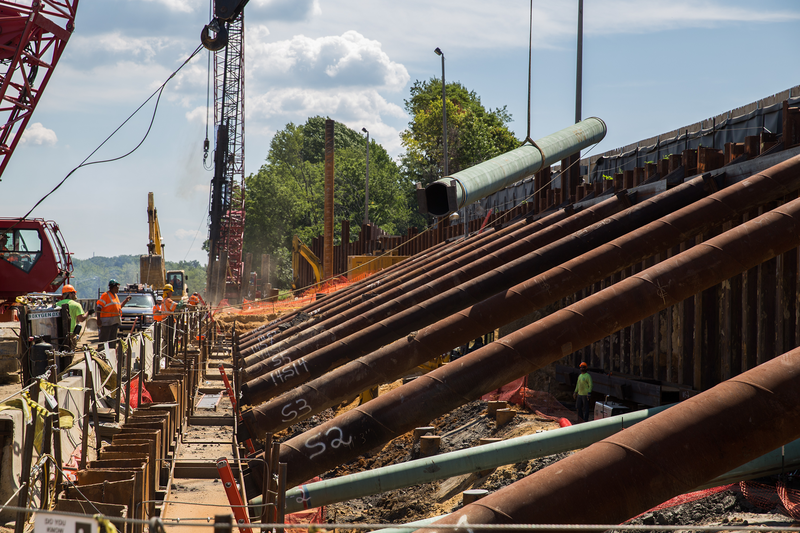 Stokes Creative Group, Inc., was hired to develop a visual documentation management program to preserve the history of the project and to enhance its visibility. 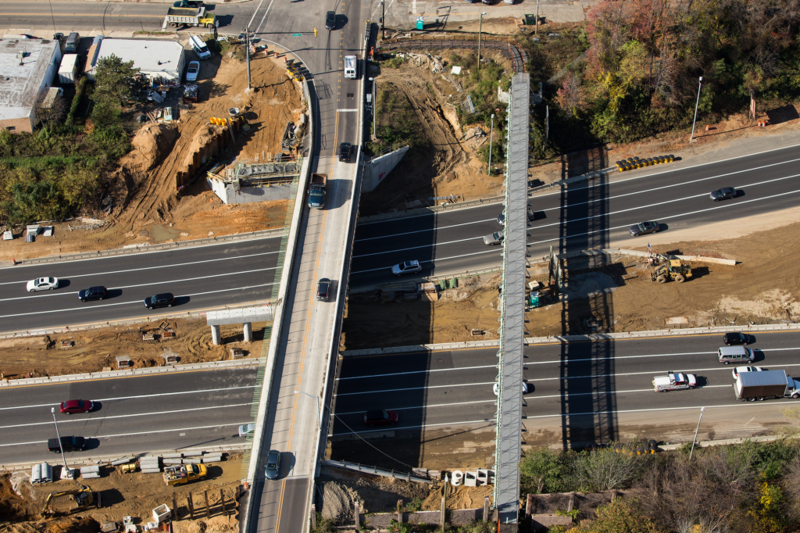 Through the employment of video and aerial photography, we were able to capture the full impact of the momentous project – from concept to final design to final construction – and illustrate the project’s engineering design story in a 60-minute video – highlighting the project hurdles and challenges. 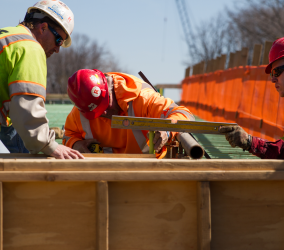 We then combined footage of the existing roadway with the DOT’s proposed improvements, and created a 3-D animation that was utilized by the DOT to inform the public of what they were to expect. 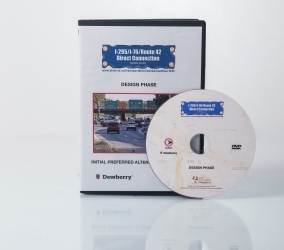 During the documentation, we developed an image database to house the photographs, aerials and video taken throughout the project. 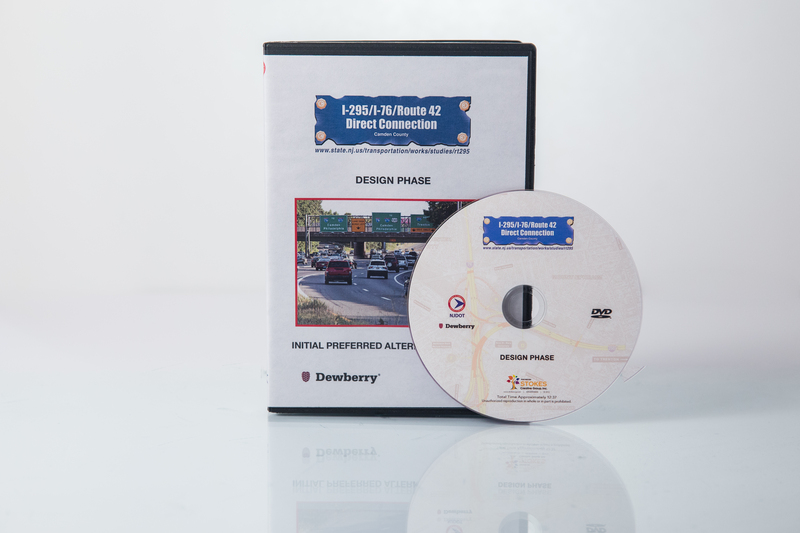 This online system allowed access for the DOT to quickly search and download images for print requests and use during presentations. 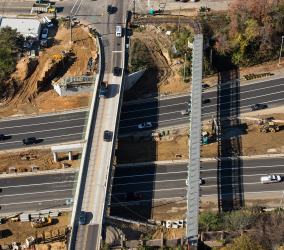 An aerial view of Creek Road over Route 42 East of I-295. 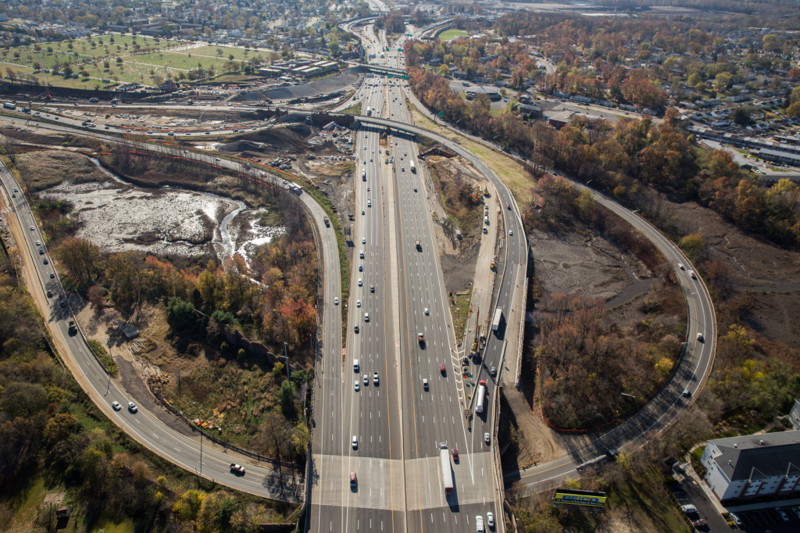 An aerial view of the I-295/I-76/Route 42 Direct Connection Project looking East from I-76 towards Route 42. 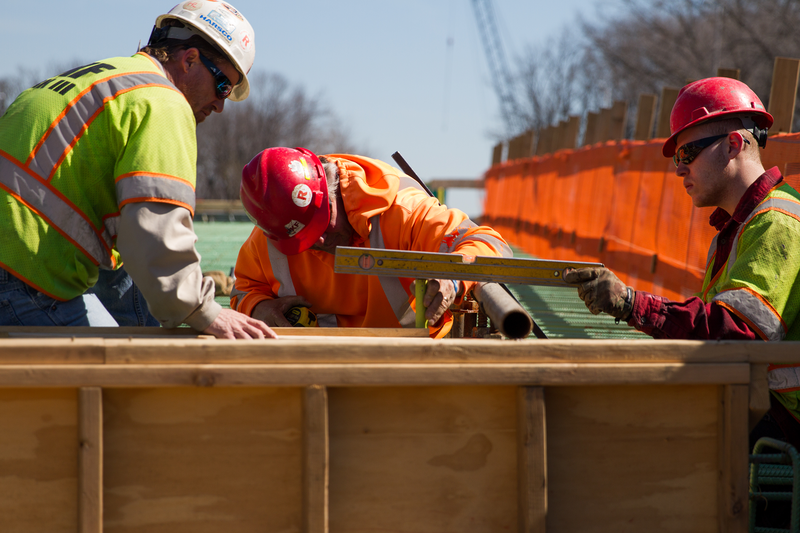 The PKF crew inspects the deck to ensure a level concrete pour. 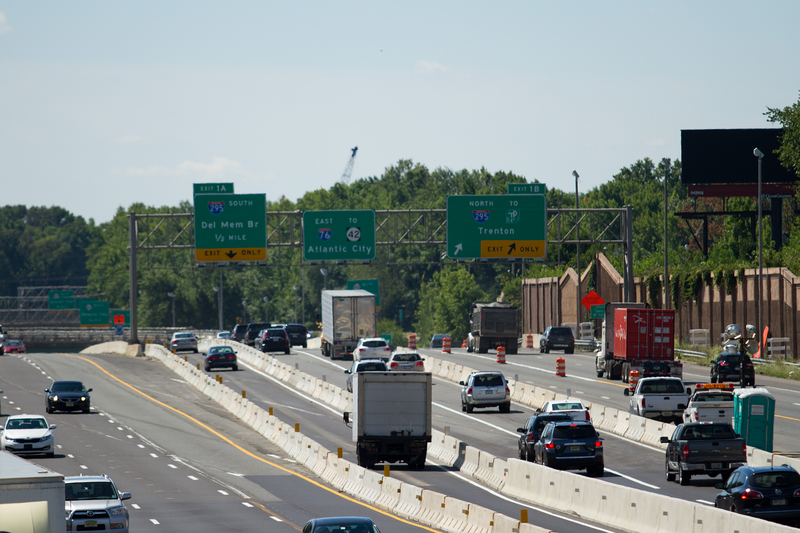 Many travelers exit the Route 42 Exit 1B Ramp onto I-295 North. 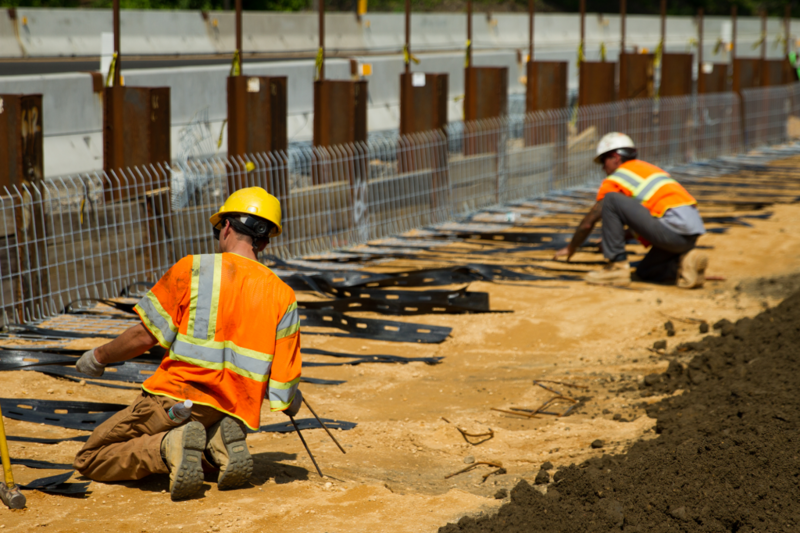 The retaining wall backfill preparation for grading of soil by the new St. Mary’s Cemetery. 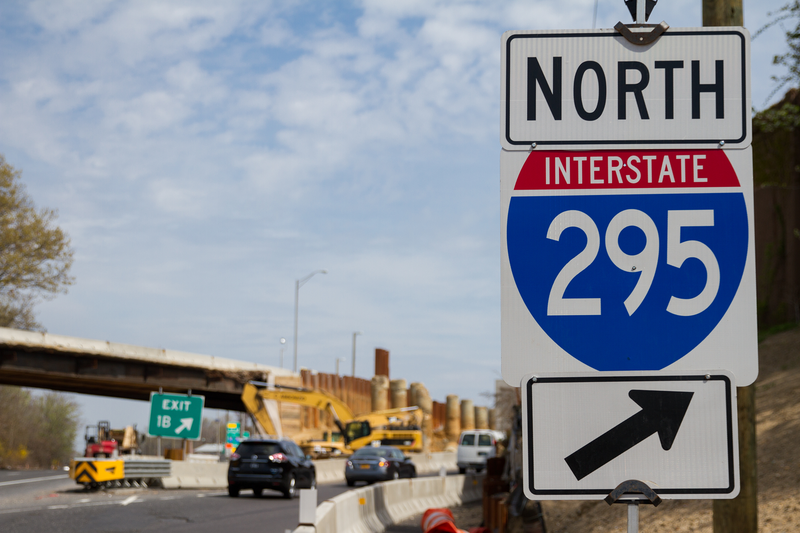 I-76 at I-295 West of Route 42. 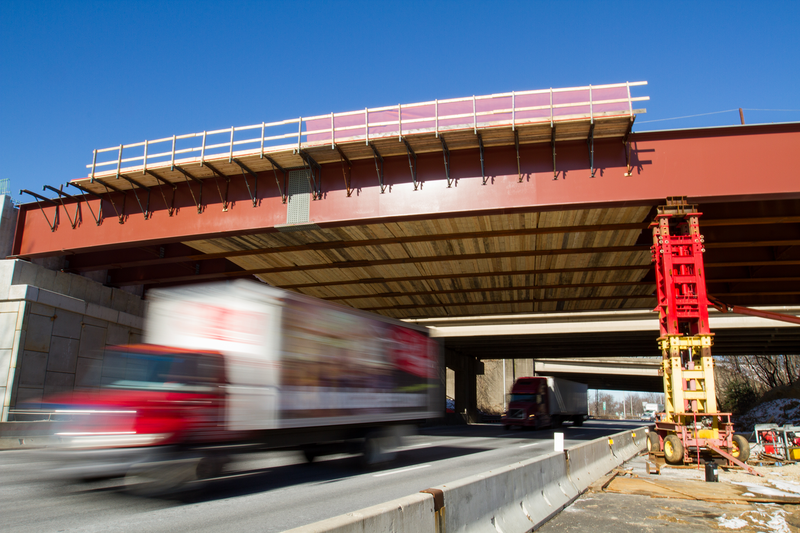 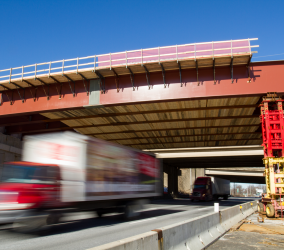 Many passengers drive under the I-295 overpass bridge structure on Route 42. 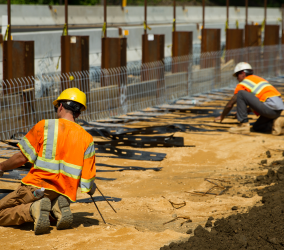 Retaining wall support beams along I-295 North by Route 42 Exit ramp and the new St. Mary’s Cemetery.